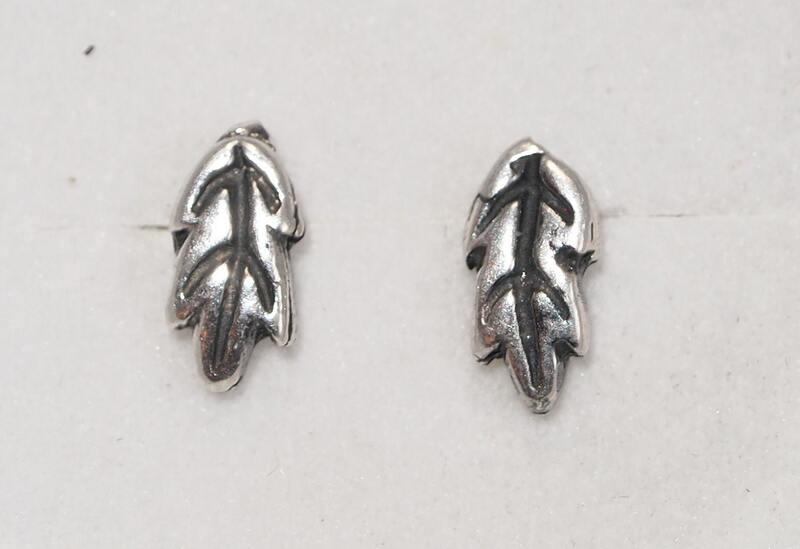 This is a pair of very simple handmade sterling silver oak leaf studs. They are 0.8cm long and 0.4cm wide with posts soldered on the back. 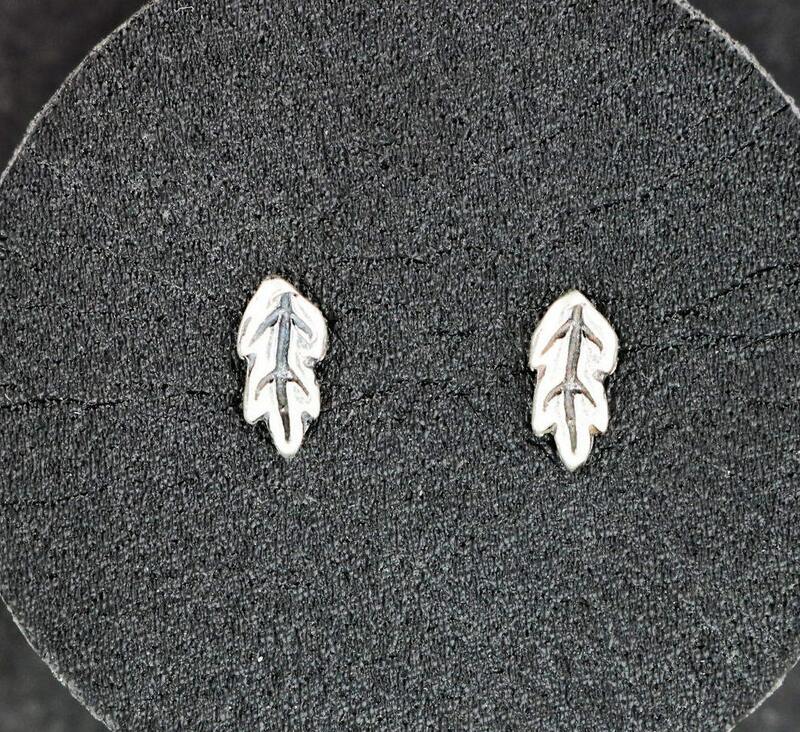 They are small enough to wear alone or as a secondary earring. The original design dates from the 40's and comes from a retired jewellery shop that closed down. Simple, but elegant, they are perfect for a secondary ear stud or as a central one.